Daniel and Pele Maree stood shoulder to shoulder, sharing the weight of the coffee-table book The Wildcats: A History of Villanovans in Professional Sports. Somewhere beneath the aging blue cover, their father is immortalized beside legendary track coach Jumbo Elliot and baseball all-star Mickey Vernon. While looking for their father's page, Daniel flipped past a photo of Howie Long. Daniel stopped, returned to the skipped page. "Howie was our dad's bodyguard during college," Daniel said, pointing at the square-jawed defensive end, a future Pro Football Hall of Famer who appeared very much capable of such an assignment. And then Daniel continued turning the pages. Eventually, the oversize book opened onto a spread: track star Sydney Maree taking his oath of citizenship; the world-record-holder in the 1,500 meters (3 minutes, 31.24 seconds) becoming a naturalized U.S. citizen because his home country of South Africa was bubbling in turmoil; a Villanova racing legend stepping away from the Main Line and onto the world stage. Daniel and Pele looked down at their father's black-and-white image, his hand raised in allegiance. "Is that the best tie he could find?" quipped Pele. The two brothers laughed, a moment of levity in what has been a brutal journey. Their father, Sydney Maree, two-time Olympian, onetime symbol of apartheid's injustice, is now imprisoned - the family believes unjustly - in a South African prison charged with fraud for illegally transferring government money into his own private account. Exactly which South African prison holds the 55-year-old Maree, his children aren't sure. But the country's prisons are collectively awful, rife with disease and despair. Missing this fundamental piece of information - their father's location - seems cruelly appropriate given the cloudy circumstances of his case. Maree had been shamed, unemployed, without a passport, and penniless since his initial arrest seven years ago, surviving by buying groceries on the debit card to which his family remotely deposited small sums of money. 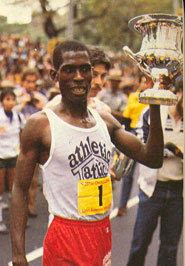 Sydney Maree was an elite runner, a South African who after winning the 1976 "Dream Mile" in his home country drew national attention. While later visiting the United States as part of a South African propaganda campaign, he was recruited to run at Villanova. 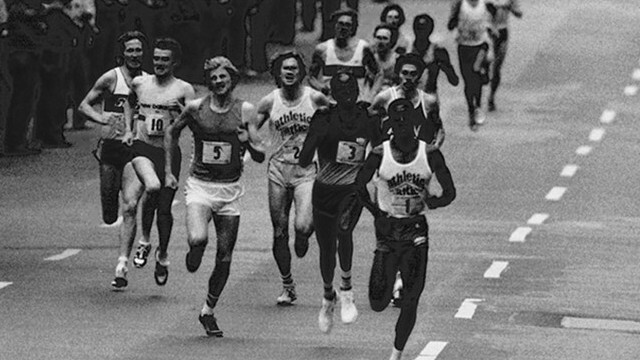 And in his time on the Main Line, he would become a middle-distance world-record-holder, an all-American in cross-country and track and field. Maree, who studied economics at Villanova, became a naturalized U.S. citizen in 1984, the ceremony in Philadelphia. 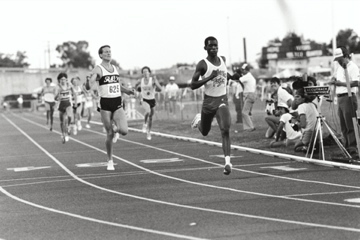 Then a dual citizen, he was a U.S. Olympian in the 1984 Los Angeles Games, though an injury prevented him from competing, and again in the '88 Seoul Games, where he finished fifth in the 5,000 meters. 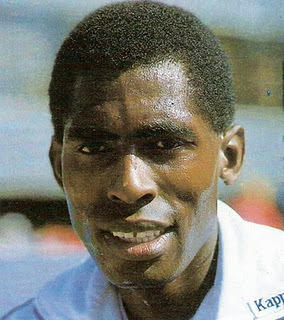 He had been an athlete without a state during South Africa's struggle with apartheid, a story that intrigued every media outlet, including Sports Illustrated, which sent nationally renowned writer Gary Smith with Maree when he returned triumphantly to his hometown of Pretoria, South Africa, in 1983. He was a hero in his home country, returning for good in 1995, bringing his American wife, Lisa, and his five children: Daniel, the youngest son and the family champion for his father's cause; Pele; Natalya; Nadya; and Christina. He became one of South Africa's leading economists, eventually heading the country's National Empowerment Fund, an arm of the government charged with "promoting and facilitating black economic equality and transformation." Now, Maree is an inmate in South Africa's dilapidated prison system, arrested in 2004 and charged with illegally transferring the U.S. currency equivalent of $120,000 from the NEF, of which he was chief executive, to his personal account - an amount less than half of his maximum yearly salary. The money was eventually returned in full. The court rejected Maree's final appeal this past spring. He turned himself in to Leeuwkop, a maximum-security prison near his hometown. He began serving a five-year sentence, which the courts reduced from 10 because of the case's duration. Maree was very quickly transferred from Leeuwkop. No reason and new location were given. "He's OK, wherever he is," Daniel said. "Knowing my dad, if something was really wrong, he'd find a way to reach out to us, through some underground channel." Daniel, 24, a filmmaker and documentarian, was already at work on the story of his father's life and isn't attempting to convince everyone of his innocence. But he believes few people have been given the chance to make their own determination. Daniel is a graduate of American University (Maree's children returned to the United States after the charges were filed), and since 2004 he has been passionate about revealing what he believes is systemic corruption within the South African government. "There are really specific questions that never got a chance to see the light of day in court," said Daniel. "If we had answers to some of those questions, I'm not saying it would prove my dad innocent or guilty, but it would make the whole situation a lot clearer. "People have a right to know all of the information about the story that hasn't gotten out." Said Pele, 25, Daniel's older brother: "We feel like we're in the middle of a political thriller." The scenario approved by the South African courts says that Maree acted independently, motivated by greed. It says he siphoned off a chunk of the government's money to his personal account with the intention of eventually keeping the money for personal use. Someone within the NEF noticed the money's absence before Maree advanced the funds. The scenario maintained by Maree throughout the trial says his NEF superior, Allistair Ruiters, persuaded Maree to temporarily hide in his personal bank account an illegal fund transfer from the NEF to Deutsche Bank as part of a land deal. The money was supposed to go from Maree's account to Deutsche Bank without the government noticing. Except the government was tipped off while the money was still in Maree's account. His superiors, who reached all the way to the top of the government, then closed ranks. And he took the fall. At worst, Maree was criminal; at best, incredibly naive. Daniel created a website, www.mareevstate.com, uploading court documents, time lines, and articles, and kick-starting a grassroots funding campaign for a documentary aiming to record sit-down interviews with everyone - heroes and villains - involved in his father's case. "Very few people, including myself, know exactly what Sydney's circumstances are," said Villanova track and field coach Marcus O'Sullivan, a world-class miler and four-time Olympian for Ireland whose career at Villanova overlapped with Maree's. "The last correspondence was a number of years ago: We were trying to bring all of our Olympians back for an Olympic gala, and Sydney was on board to come. At the last minute, he called and said he couldn't come. "That was the beginning of the unfortunate situation that has continued to this day. I think a lot of people are expressing curiosity but just really don't know what the circumstances are and it seems to be, geographically, so far away that it's very hard to find anyone that has sound information on it - other than hearsay. I think the lack of conversation is based on the fact that there's no conversation." Milly Adams, a South African expatriate who lives in Exton, is surprised at Maree's conviction. "Sydney Maree is very well-known in South Africa and extremely well-loved," Adams said. "I recall being back there in the 1980s and seeing a television piece on his accomplishments as an athlete. I never would have believed he'd be involved in something like this." Daniel possesses hard copies of every piece of information available: the court documents and transcripts, newspaper articles, time lines, cassette tapes, and charts connecting one politician to the next. All of this tangible information will, Daniel hopes, someday become an important documentary. "I try to say the film isn't really concerned with his guilt or innocence. It's more concerned with raising awareness about the situation," said Daniel. "And what his story says about South Africa right now."